One of my recent acquisitions. And am so satisfied with it. So what's that? 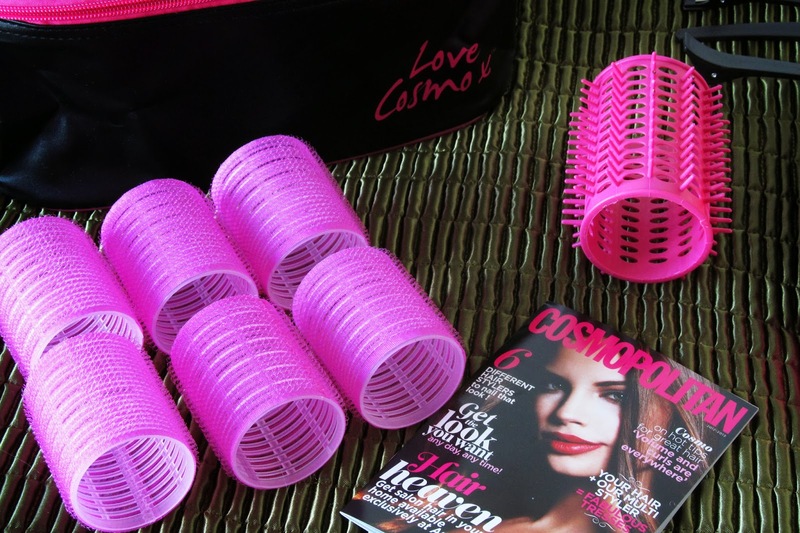 It's volume and curl multistyler from COSMOPOLITAN! 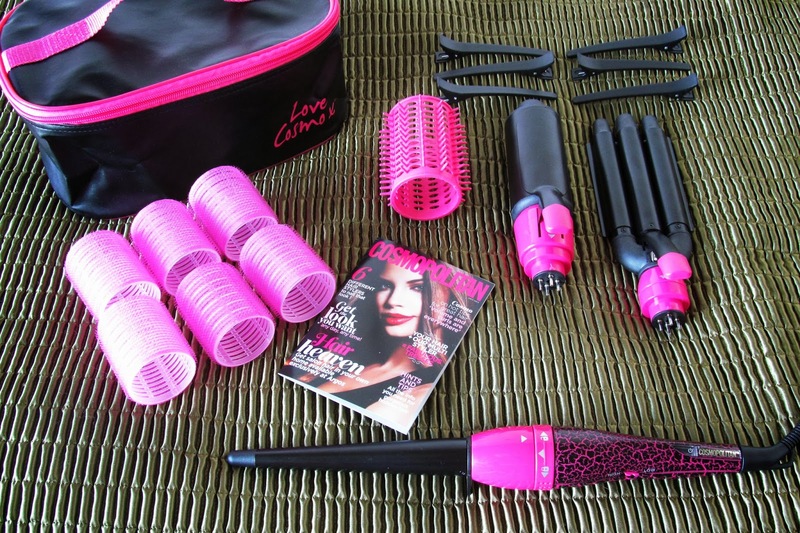 The collection consists of voluminising rollers and clips, three different attachments, like voluminising curling tong with brush attachment, curling wand and triple barrel weaver, as well as super cool storage bag and small guide from COSMOPOLITAN on how to do this or that hairstyle. 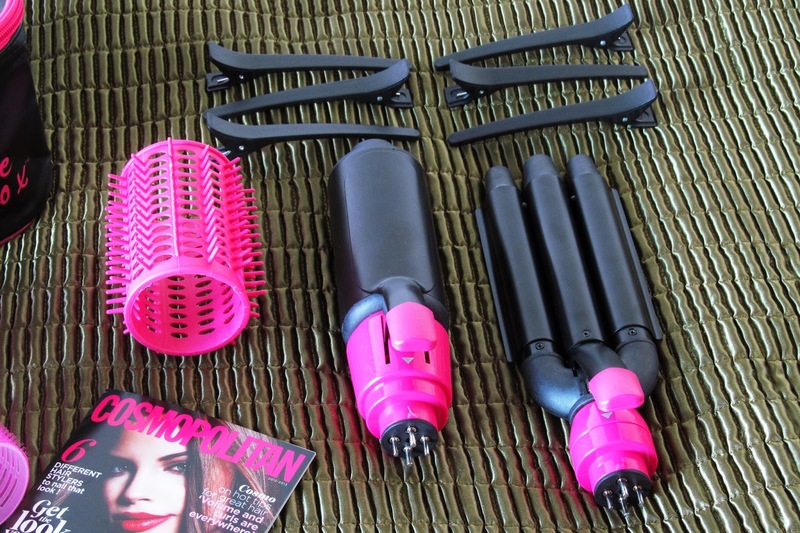 So far my favourites are the rollers that I now use constantly after washing my hair, to add a bit of volume. 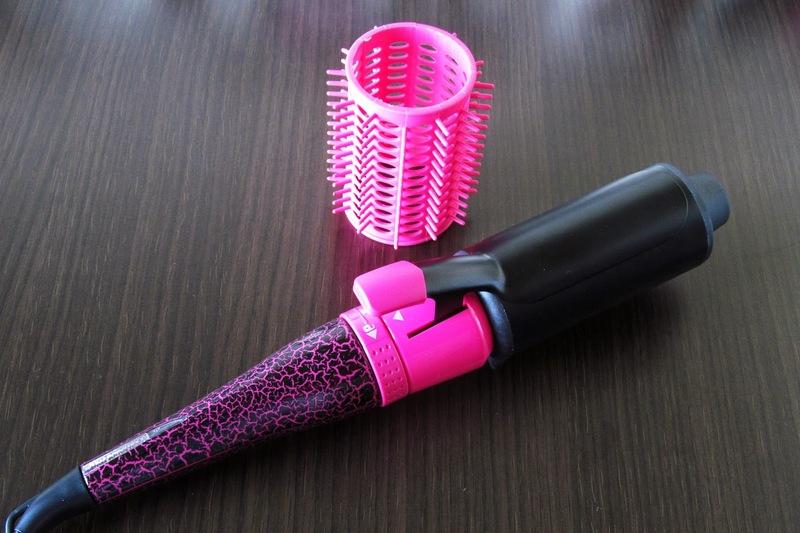 I have already tried all of the make-some-curls attachments and must say that all of them are so awesome! 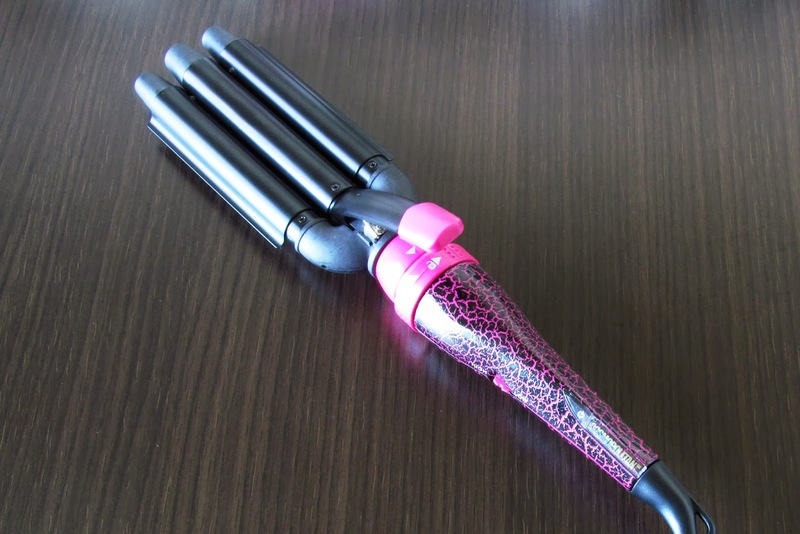 The thin curling wand creates light curls in just less than a minute, I guess. 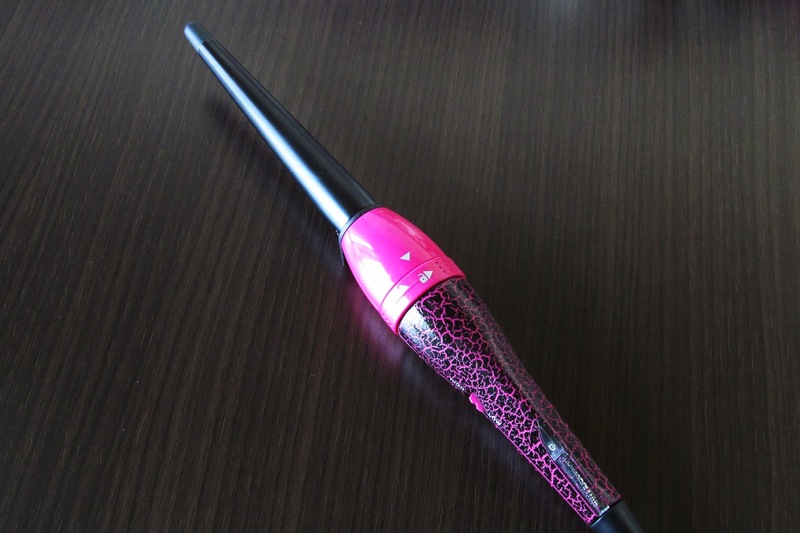 Did I mention that the design is so lovely and girly? As if I'm back in Barbie-doll childhood. And I'm not the only crazy person out here. My flatmate fell in love with it and got one for herself as well. 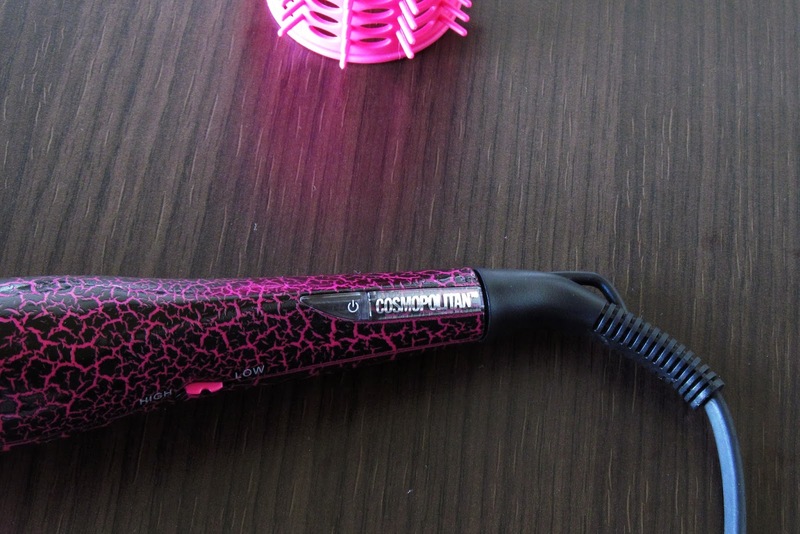 This thing is totally worth it, my dear ladies.